After reading some of the reviews, I wasn't too sure if this would be flimsy. HINT: Before you assemble the upright onto the base, bend the tabs on the upright upward slightly. Doing this keeps it tight once you insert it into the base, so it won't tilt or wobble. It works perfectly when you add this step. Just like I remember as a child! My mother used the 'flying angels' every Christmas and I was thrilled to find this - and at such a great price. It's exactly as I remembered and can now create beautiful memories for my grandchildren. Great buy!! It's a great project to put together. So easy to put together. Fun to watch the angles and clowns with ever the mood is. I love it! this is just like the ones from long ago,... very nostalgic,... glad to find it! I had this as a child, and loved it. This is a fascinating gift for a child who has a supervising parent. If you like dainty bells and the soft glow of a candle, then this is for you! 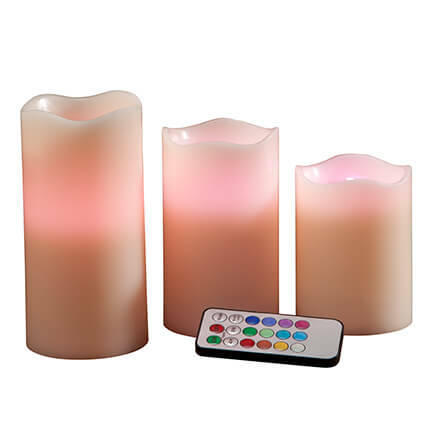 A word of warning...you cannot find these off-season, so get yourself several sets now, candles too! Being dainty brass, the chimes do get hot from the flame, so don't leave alone with little fingers. I remember my Mom had one of these when I was a child. Later, as an adult with her own children, I found one and was excited to add it to my Christmas collection. I lost it when we moved. I was so excited to find Miles Kimball carried them! These create magic for my grandchildren! I remember my mom putting this out at Christmas every year. Through the years, hers got lost, so I purchased one for each of us and I love it. Brings back such great memories! As a center piece for your table at Christmas dinner. Although it isn't sturdy like the ones I had as a child, I put it together and it worked. My grandchildren will really love it. I read the reviews before I bought this, and was afraid of the quality. Though that isn't the best, it certainly can be assembled without mishap, and it does work nicely. 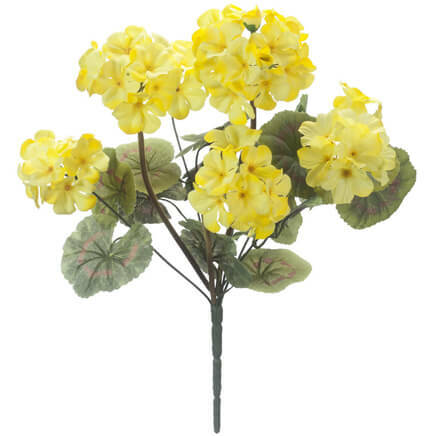 This is just lilke the one I had one I was a little girl that was given to me by my Godparents in the 1960's. Just Wonderful. the kids love this, just like i did when i was little. it is all made of something my mom used to call "pressed tin" and so is flimsy. but i remember that from when i was a kid, and it doesn't need to stay together except when it's lit and then it stays just fine. 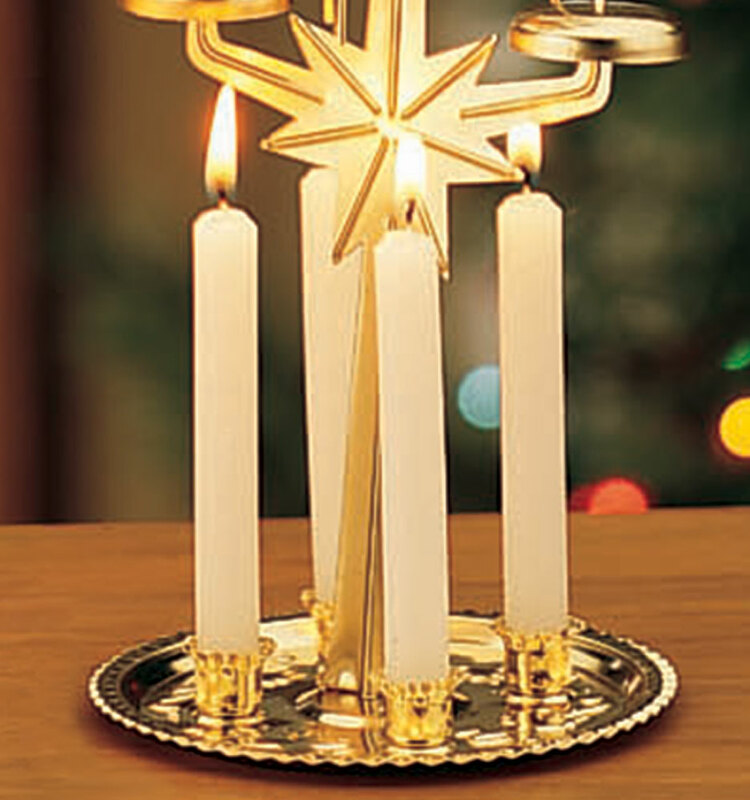 This is a traditional Swedish Christmas decoration and serves as a delightful reminder of our heritage. This is a wonderful memory from childhood to pass on to your family and friends. We had one of these carousels when I was a child - they are not easy to find now. It brings back memories and a smile to the face. My husband's grandmother had one of these years ago. When he saw this one he had to have it. It brought back so many wonderful memories. Really cute idea. I liked it because it looks like an advent piece. Only drawback is that the pieces are very delicate and the base is not sturdy enough to hold the top. Mine rocks back and forth until I balance it just right. Wish it would lock in better at the base. Overall, very cute. Glad I purchased it! I feel there should be better instructions in how to put it together. I had to look at the box to see how it was assembled. Once it was assembled I like it. Am giving more to my friends for a christmas presents. I am sure they will enjoy it as much as me. I looked everywhere for this item! It is indeed delicate, but I have looked everywhere for this unique item! I remember as a child how mother would only bring out this special decoration out at Christmas time. As the candles burned so did the Angels began to swirl and the chimes tingled a most delighful sound! But when our mother passed away...most of her belongings were thrown away when her storage went up for auction. I thought we had lost that special part of her until a Miles Kimball catalog had come by, and ther it was on the FRONT cover! Just in time for Christmas! Mother was home!! We used to have something similar to this when I was growing up. It had been passed down from the German culture and I always remember how amazed we were that the heat from the candles would cause the angels to move and the clappers to gently strike the bells. The unit would cast pretty shadows up on the ceiling and walls as the candles gently flickered. These memories were brought back, but the product itself was a disappointment. Cheap and flimsy brass that bent in all the wrong directions when you tried to assemble. The candles didn't last long at all and smoked. With the open flames you'd have to be careful as it is a temptation for younger children. I'd replace the candles with beeswax chime candles if you can find them. It's a shame the set wasn't stamped out of a thicker piece of brass. It was worth what we paid but it's not the quality of sets made somewhere else rather than China. I purchased this for my daughter as it is a replica of one that we had years ago when she was a child, purchased while I was on active duty stationed in Germany. She was thrilled with it. AS long as you clearly understand that it is an inexpensive item and not particularly durable, and handle it carefully, it will provide good service. It is no less durable than the one we had years ago. Pull it out at Christmas, burn the candles a few times, make it ding, and gently put it away, carefully packed at the end of the season and you are good with this one. Not well made but for the price it's ok. It's very flimsy. I bought this because we had one when I was a child and I always enjoyed the faint chimes as the candles turned the propeller. That was 55 years ago, and boy has the quality changed! I couldn't believe how much flimsier the metal is now. In fact, the metal bent while I was trying to assemble it. I returned it for a refund. Disappointed in this product. I had one when I was a kid, but was made a lot better. This is flimsy. Won't stay together. Stand won't stand up. Angel on top bent & couldn't get to stay on. I Never even got to light it....Won't recommend to anyone!! I had a hard time putting this carousel together. I cant get it to stay together. I had one of these years ago and I loved it. but now its just not working for me. Very cheaply made; currently sitting on my counter and will probably throw out after the holidays. Price was very cheap and I guess you get what you pay for. I would have gladly spent more money for a better made one (like I had when I was a child). will return. defective; would not stand up straight; so disappointed especially for the price. we had one as a child which lasted for many many years and always stood up straight. Terrible product. Have seen these before but none so cheaply made! Need a degree in engineering to put it together- no instructions included! 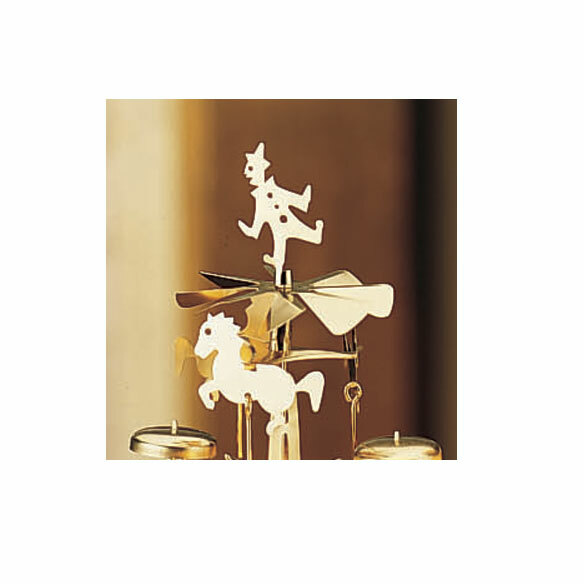 This product is made of very thin aluminum, it doesn't stand up straight and the chimes don't make much sound at all (if you get the angels to move). Not at all what I was expecting. Very poorly made. Falls apart if a person breaths on it. I bought this to replace the one I've had since 1975, which has gotten lost. I was so disappointed. It was much more difficult to set up, and then nearly impossible to get balanced so it stand upright, and then the slightest breeze or touch and it flops to the side just enough to be obviously and uselessly crooked. The fan blades are too high above the flames to catch the hot air, so they don't turn; therefore the bells don't ring. With four little grandsons watching eagerly, I was even more disappointed. I plan to return it as soon as I can manage the time. this was very cheap and i was not impressed at all....although the other items i purchased were very nice. For very sentimental reasons. We had one of these in my home when I was a child & I want my grandkids to experience the beauty & peacefulness of it. My mom used to have one. My family had one of these when I was a child and I want my children to experience it now too. I had one when my niece was little and she loved it. So i bought one for her family. For a friend who was intrigued by the one I have, that was originally my moms. The kids love this at Christmastime. The old one was charred and waxy. Wanted a new shiny one. Exact replica of one we have had for years. Ended up losing a piece for the old one. Reasonably priced. What a find! Someone else i know has one..
Because I am Swedish and I needed a new one for my Christmas decor. Had one of these as a child! Purchased for my daughter. She asked me if I still had the one from her childhood and how much she loved it. How could I resist getting her one for her family? I had this as a child and really enjoyed it Now I got another so my grandchildren can enjoy it. Brings back memories of childhood! My parents had one of these on their table at Christmas. I thought that it would be fun for my family to continue the tradition. I remembered them my childhood. 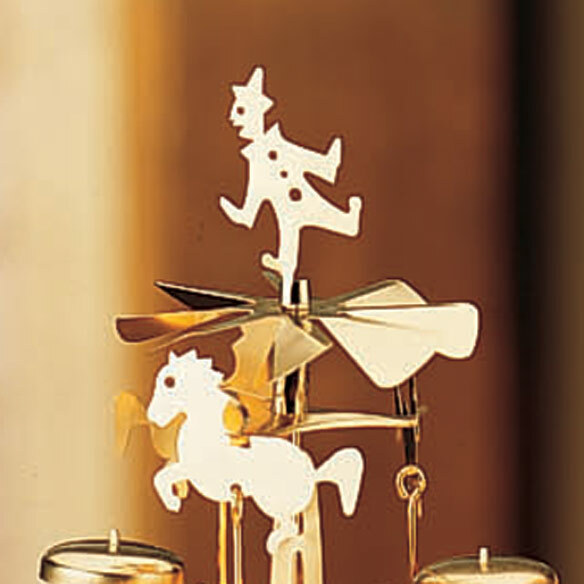 I want to recreate some of my childhood memories this Christmas; this little candle carousel was always a part of our holidays! Reminds me of my childhood; we always had one and I bought for my kids when they were young. I grew up with a carousel and thought I would pass this along to my children who have children. Everyone loves things that move and ding! Tradition continues! For birthday parties and Christmas. Nostalgia - my mother had one nearly identical to this when I was a little kid and I loved it. I didn't know they were still being made! We had this while I was growing up as mom is Swedish, but it has been a long time since we had one. Nostalgia and Tradition is best to sum it up! Love it for Christmas eve! My Mother used to have one like it. My mother had one when I was young and I have always wanted one. BEST ANSWER: Thank you for your question. It is 12" high. We hope this information will be of help to you. Where is this angel carousel made? 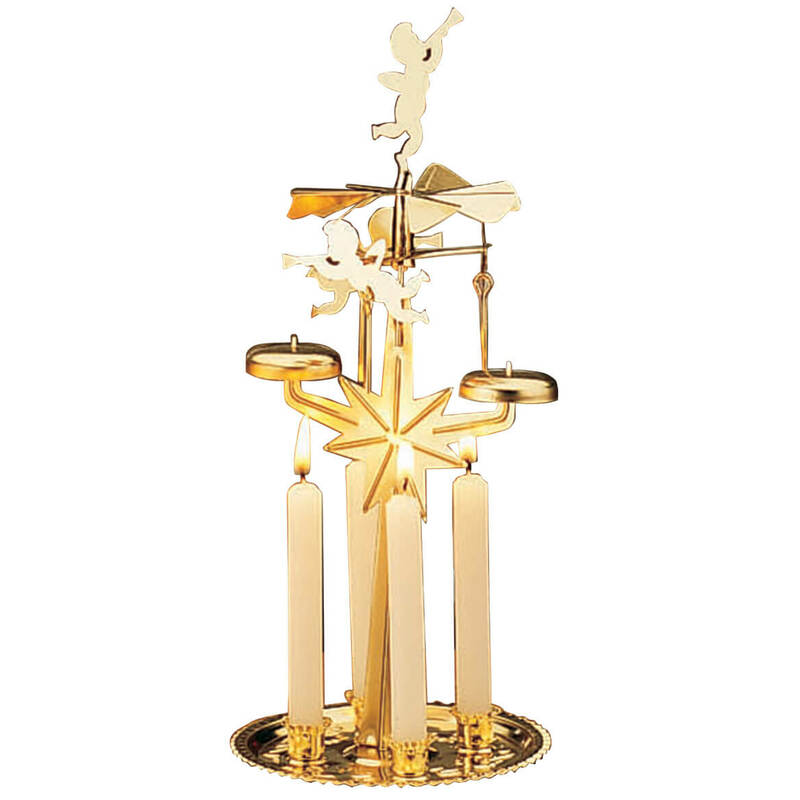 BEST ANSWER: The Miles Kimball Angel-abra chimes are made in China. The original chimes were made in Sweden starting in 1948. The original company still sells them but at a hugely higher cost. Pinecone fire starters will make your fires enjoyable this season. 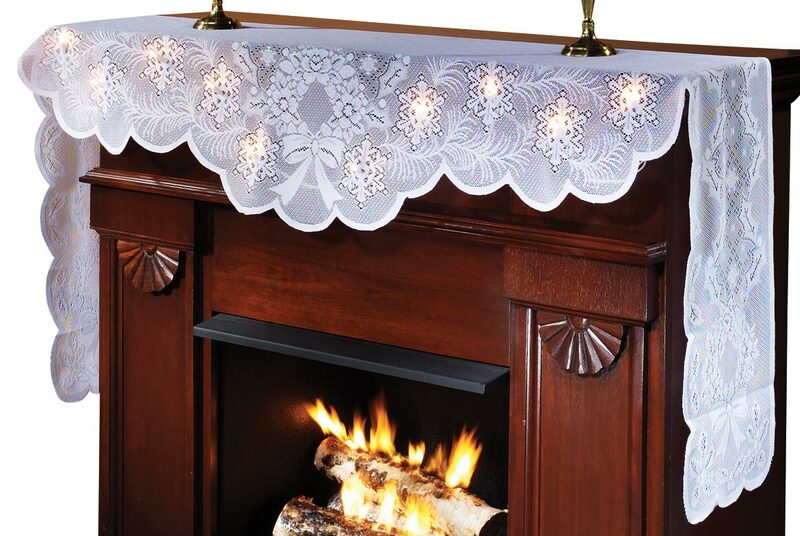 Place pinecone fire starters under the logs in your fireplace. They act like hot, burning kindling to get your fire going. 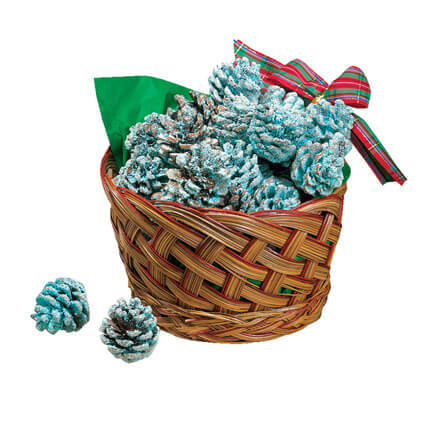 7" basket contains approximately 30 pinecones.